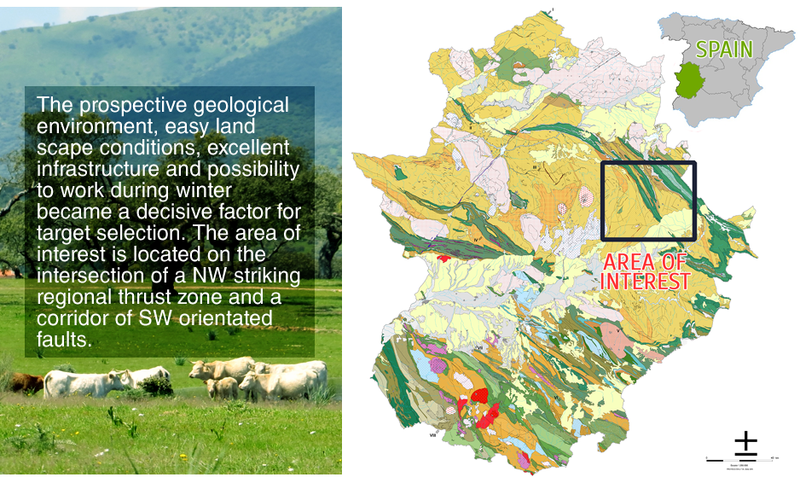 In spring 2013 Mineral Exploration Network started a new gold exploration project in Extremadura region, Spain. The selected area is located approximately 245 km from Madrid and can easily be accessed from the A-5 highway. Numerous railways also connect Extremadura with different major towns and cities. 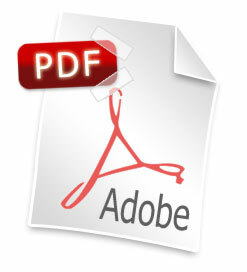 To learn more about Extremadura projects download report in PDF format. The license area is situated in the Centroiberian Zone of Hesperian (Iberian) Massif that is mainly composed of Ediacaran, Cambrian, Ordovician and Silurian rocks. Higher in the cross-section can be found tertiary and quaternary sediments in regional tectonic depressions. The main rock types are neoproterozoic and paleozoic shales and quartzite with abundant remains of marine fauna. 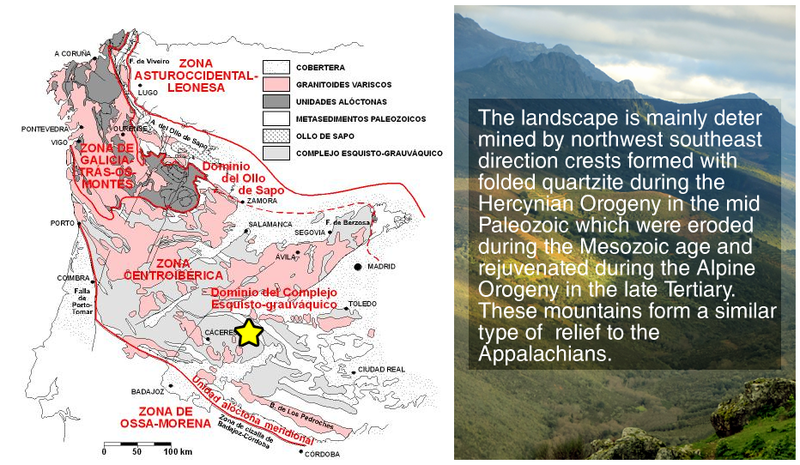 The region is characterized by extensive granitic intrusions formed during the Variscan (Hercynian) Orogeny. The main types of mineralization within the region are antimony, gold, tin, tungsten, phosphate and uranium. The primary genetic type is intrusion related. Selected region has a rich mining history starting from prehistoric time till the middle of 20th century.